"Eli" the Worlds of Fun Railroad's 3' gauge Crown 4-4-0 waits at the station on the next to last night of 2018. 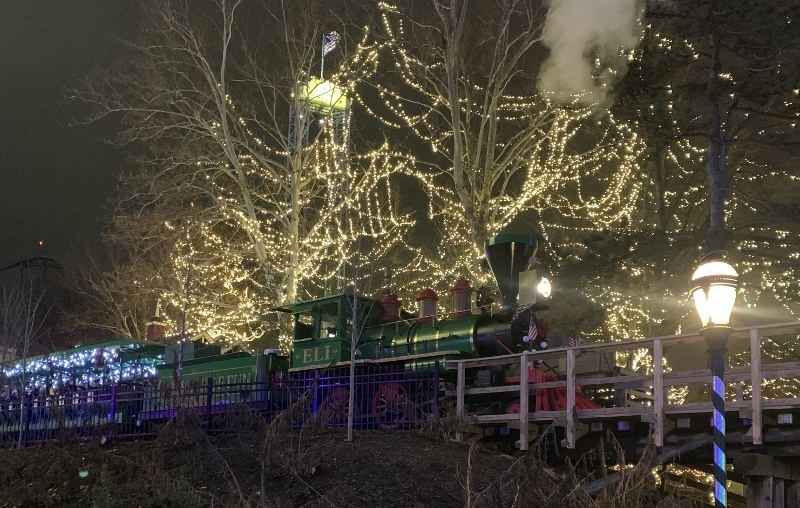 Decorated for Christmas, the train was one of the rides operating during WOF's "Winterfest". The railroad is quite popular with park visitors and was basically full for every run. 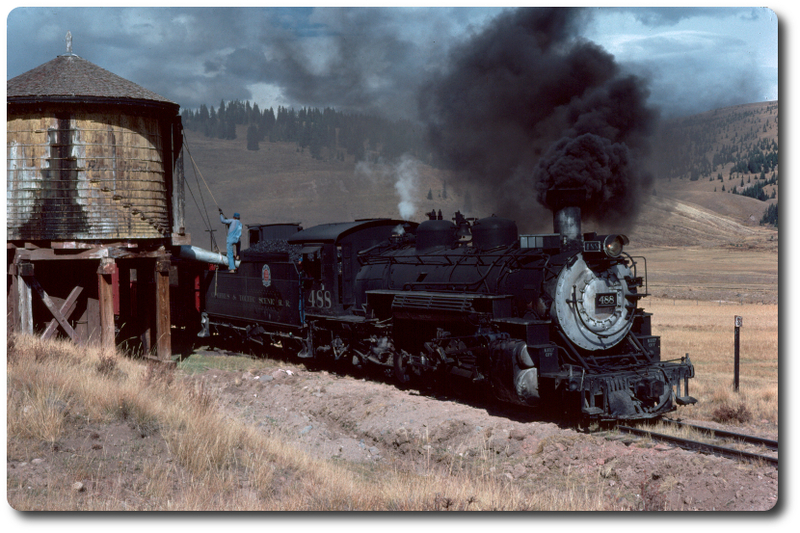 The locomotive was built new for WOF in 1973 and its name comes from a CB&Q passenger train that once ran into Kansas City.